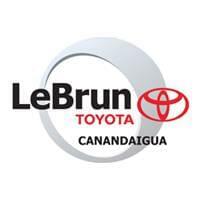 Find ways to save on your vehicle purchase with the available Toyota Incentives and Specials at LeBrun Toyota. We have a wide variety of offers and incentives that will get you a great deal as you’re wrapping up the purchase. While you’re at it, take a look at our New Car Specials or Used Car Specials to find extended ways to save. Contact us today for more information!